← Prom is approaching! Help young ladies Say Yes to the Dress!! 2nd Annual Mother of Pearl Tickets on Sale Now! Join us for a wonderful brunch celebrating mothers, daughters and all the special ladies in your life. 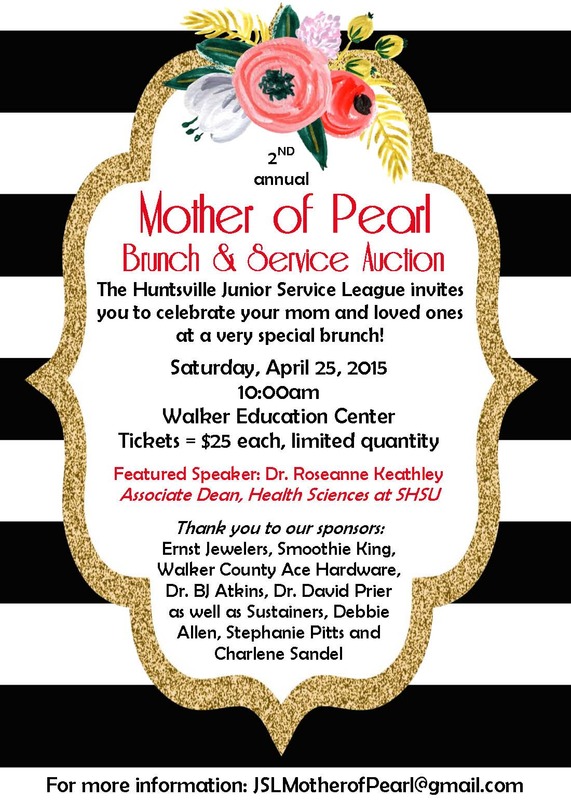 The Second Annual Mother of Pearl event is Saturday, April 25 at 10:00am at the Walker Education Center. A silent auction consisting of unique service items will precede brunch. We are honored to have Dr. Roseanne Keathley, Associate Dean of Health Sciences at SHSU as our featured speaker. You do not want to miss this lovely event!